The Confederation of Golf in Ireland (CGI) is supporting the new “Get into Golf” Festival at the National University of Ireland, Maynooth (NUIM) in partnership with Kilcock Golf Club and Carton House. This week-long festival of golf is aimed at giving as many people as possible a taste of the game from Monday 31st March to Friday 4th April. Activities on Monday 31st March and Tuesday 1st April will focus on the campus Phoenix Sports Centre. Students, staff and members of the wider community will be able to try out golf and avail of free golf lessons with PGA Professionals from the partnering golf clubs. There will be fun games and spot prizes on offer throughout the two days for long drive, nearest the pin and putting challenges being run by students on the Paddy Harrington Golf Scholarship. Thursday 3rd April sees the festival move to Kilcock Golf Club where there will be a club open day consisting of a free 3 person invitational team event (sponsored by Titleist/Footjoy) and a fun skills challenge from 3pm in association with the launch of the new Titleist Vokey SM5 wedge. On Friday 4th April the festival draws to a close with the finale of the Golfer of the Year event for the colleges Paddy Harrington Golf Scholars which will be played over 36 holes at Carton House. Alongside this will be an outing of the NUIM Golf Society at Carton House Golf Club. This outing will be open to any student of the college who is interested in becoming involved in the golf society. Carton House PGA Professionals Bernard Quigley and Tony O’Regan will host a clinic for the all the golf society participants after they have completed their game. Save Our Sons and Daughters (SOSAD) which is Maynooth Students Union (MSU) nominated charity as part of their “Give a little, Do a lot” initiative will receive the funds generated through donations and nominal entry fees to some of the challenges that will take place throughout the festival. The Confederation of Golf in Ireland (CGI) is a new organisation established to support, promote and develop the game of golf on the island of Ireland. A not for profit organisation, the CGI was created by the Golfing Union of Ireland (GUI), the Irish Ladies Golf Union (ILGU) and the Professional Golfers Association (PGA) to complement the work of the three associations in advancing the game of golf in Ireland. The CGI will work in partnership with Irish golf clubs to help them broaden their membership base by offering club services and programmes designed to create and drive participation in the sport. The CGI will also be responsible for liaising with the Irish Sports Council and Sport Northern Ireland as well as the Olympic Council of Ireland on behalf of the GUI, ILGU and the PGA. It is hoped that this project can be rolled out to other Third Level Institutions in the future. "Kids need encouragement, not taking 11s on long par fours"
Pádraig Harrington is a one-man quote machine touching on everything from his dramatic slump and Tiger Woods’ bid to overtake Jack Nicklaus to the contentious issue of national flags and even losing to his son in crazy golf. But he when it comes to covering all the bases, he rates the newly-formed Confederation of Golf in Ireland as a crucial for the future of Irish golf. 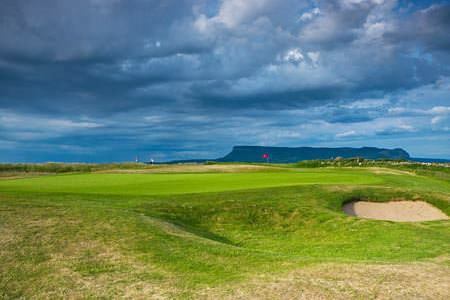 The Confederation of Golf in Ireland (CGI), the body set up to support, promote and develop the game of golf on the island of Ireland, is running a series of golf related business and marketing seminars in Cork ahead of the Irish Open, which is taking place at Fota Island Resort from June 19th – 22nd. Shane Lowry pictured with Kevin McIntyre, Chairman, Leinster Branch, Golfing Union of Ireland (right) and John Ferriter, Hon. Secretary, Leinster Branch, GUI at the launch of the Leinster Branch Elite Website, smartphone app and logos at Carton House. 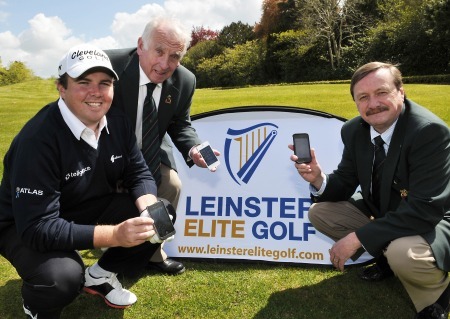 Picture by Pat CashmanShane Lowry might be a purely natural golfer but the European Tour star discovered that Irish amateur golf is at the cutting edge of new technology when he helped launch a new website and smartphone app for Leinster Golf at Carton House. Interestingly, the ILGU was closely involved in helping Leinster get the enterprise off the ground - a sign, perhaps, of a future amalgamation of the men’s and women’s bodies in Ireland? The Golfing Union of Ireland (GUI), the Irish Ladies Golf Union (ILGU) and the Professional Golfers Association (PGA) have announced the formation of the Confederation of Golf in Ireland (CGI), writes the GUI. The CGI is a new organisation, created to help advance the sport of golf on the island of Ireland, for the future. Losing 80,000 jobs is a catastrophe by any yardstick but when the game of golf in Ireland loses that number of active participants in little more than five years, it’s clear that something needs to be done.